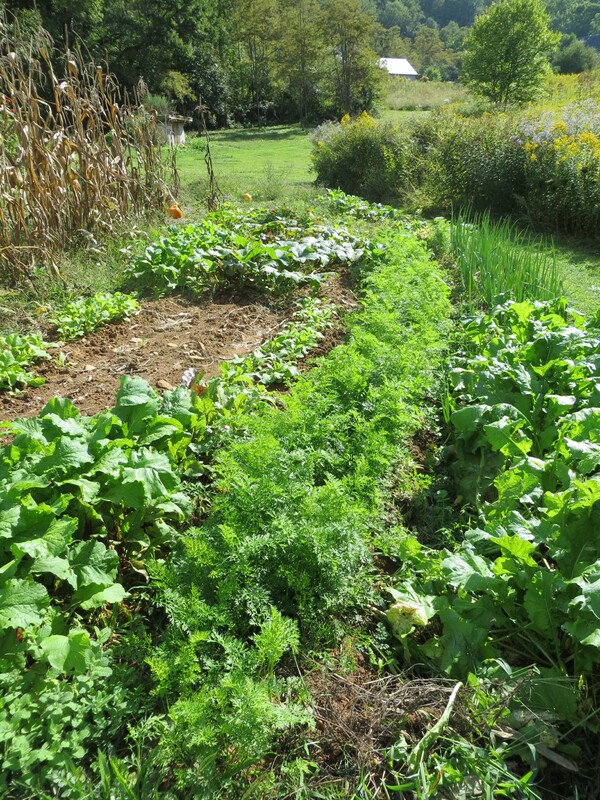 We might have one more pumpkin in the field left to pick and a few winter squash. 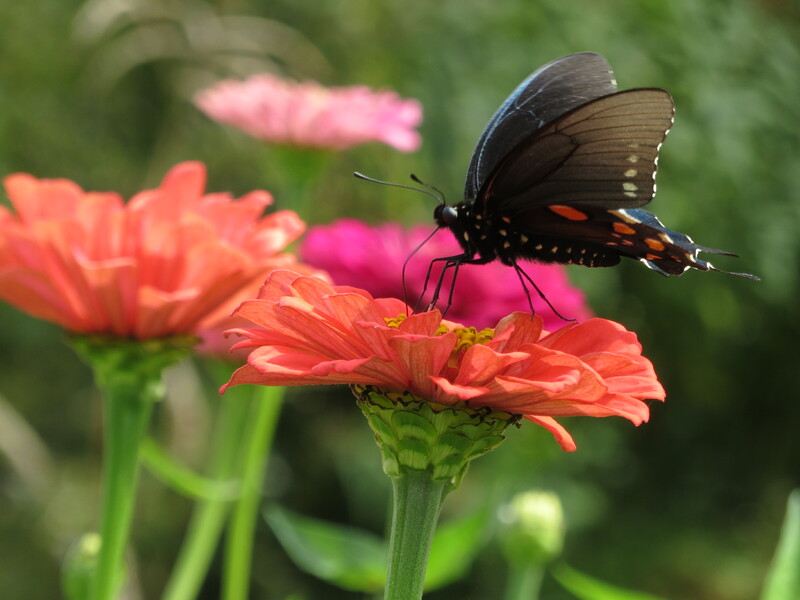 Flowers are still producing well–and I enjoy getting down to pick them–nearly all zinnias this year. 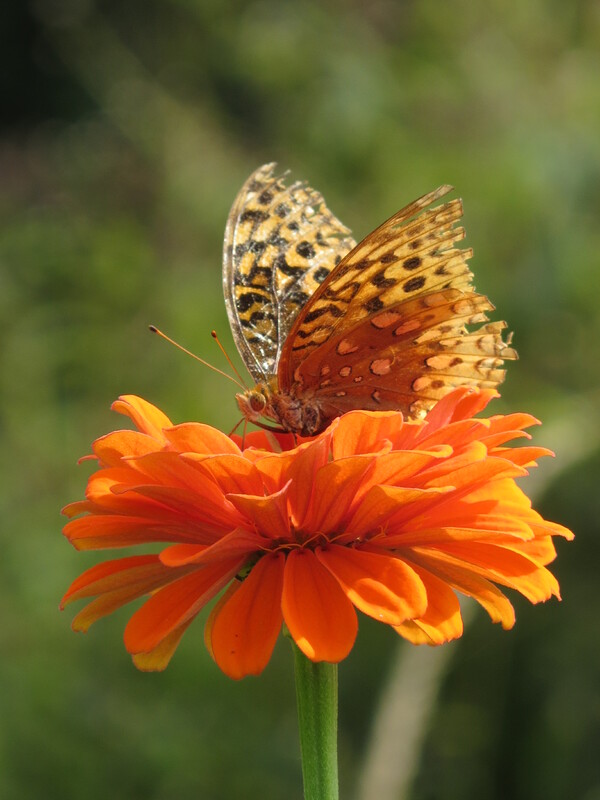 Such cheerful flowers. We’ll probably pick the popcorn soon. Hythe is nearly desperate to do it and points out each time we are near the garden that “the corn is dead”. 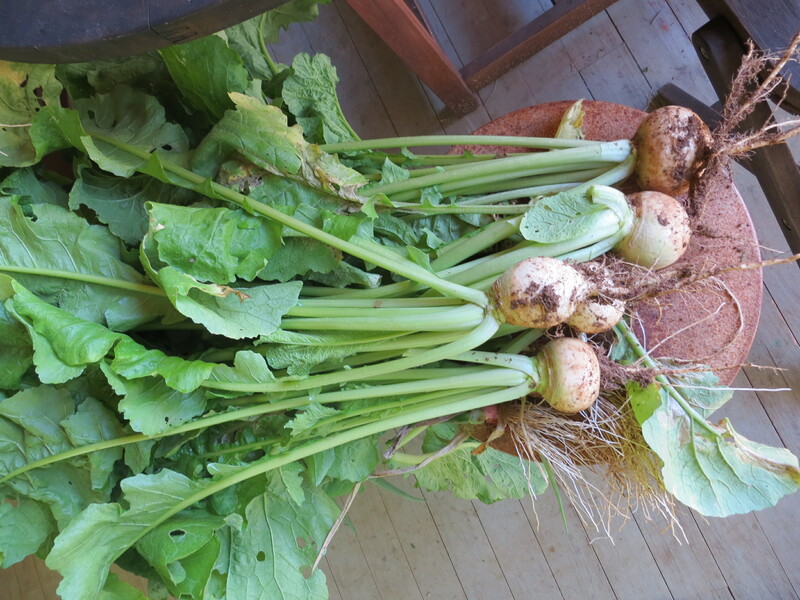 The first turnips have been picked. Look at those greens–so many and so beautiful! I froze the greens to eat this winter, but I’m planning to cook the turnips tonight with bacon and onions. 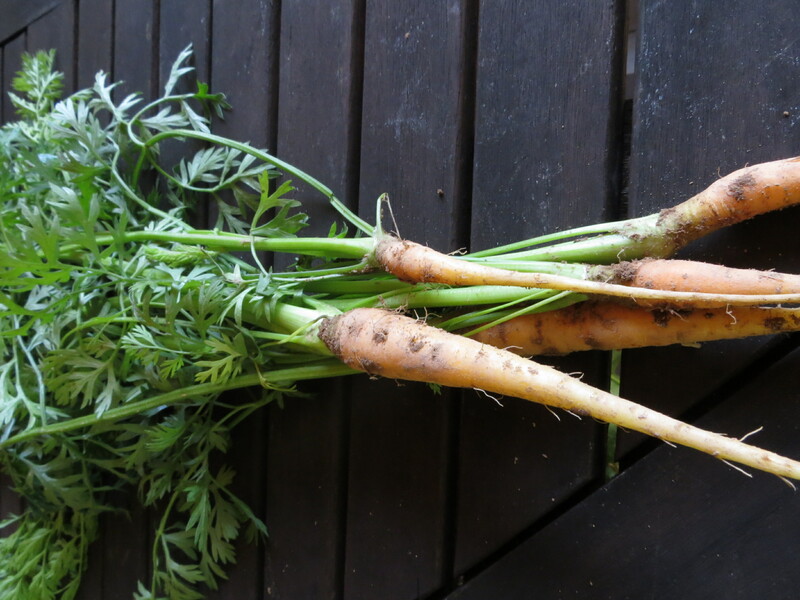 Hythe got the first carrots out of the garden. Little baby ones, which he disdained after tasting. They are a little bitter at this point. But, it helps to thin those carrots a bit. 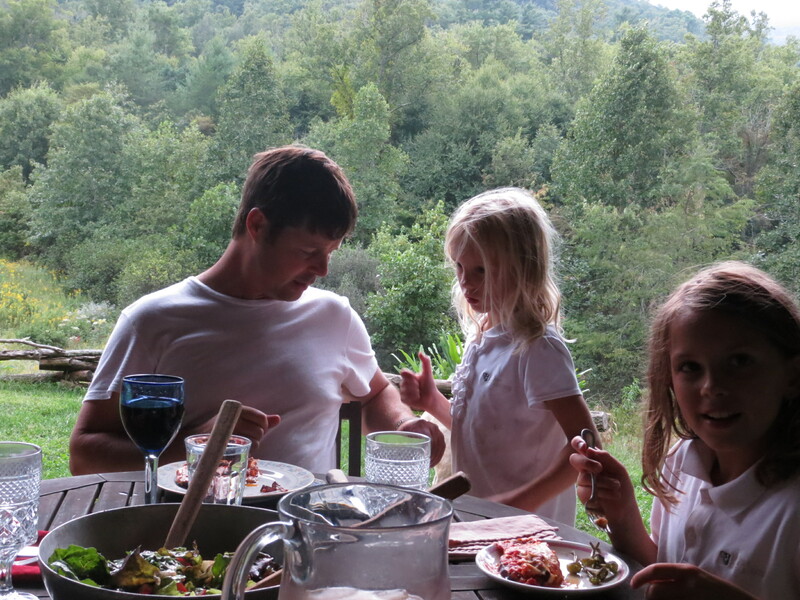 We are eating salads from the garden again (and still outside)! Lots of arugula and a little bit of leaf lettuce so far. I hope the rest of the lettuce I planted comes up. I put in a large row of an unknown lettuce seed (which I found at the bottom of my briefcase), but I am afraid the seed was not good. It has not come up. 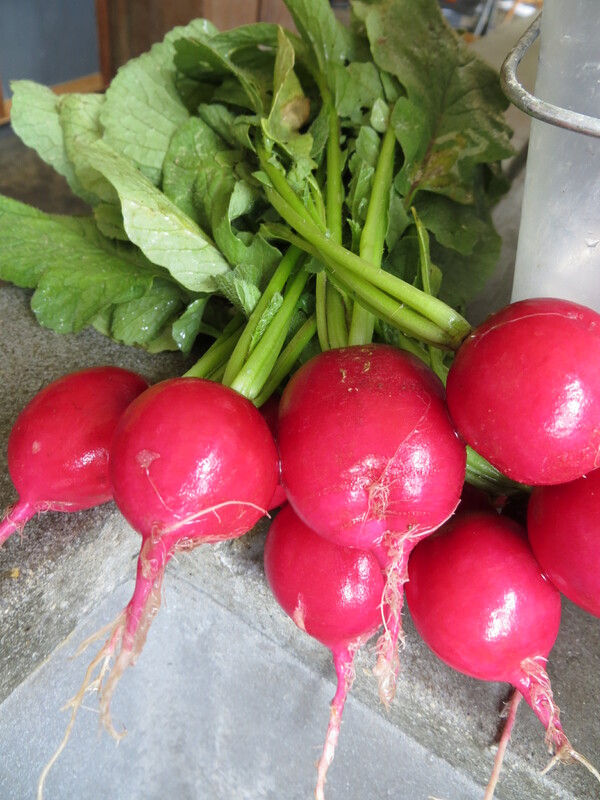 The radishes are huge! They grew so fast with the wet warm weather. 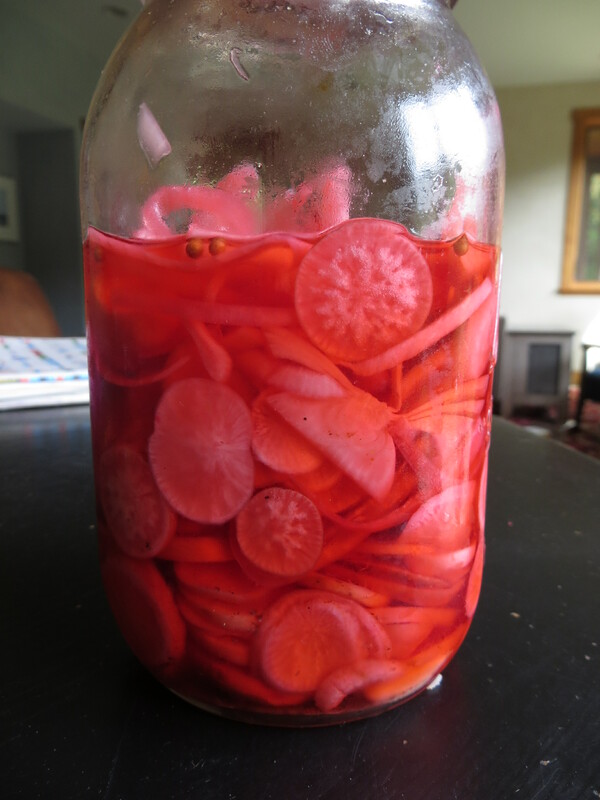 I’ve picked nearly all I planted and not knowing much else to do with a lot of large pretty radishes, I pickled them! These pickles are so delicious, especially with meat (especially BBQ pork), and they will last all winter in the refrigerator. Not only delicious, these pickles are beautiful, but they are a bit smelly (pungent-good smelly, but smelly). Recipe below. Also, my ginger lilies are blooming. They don’t always make it here with our cold weather, but I’ve found a protected place for these with full sun and they are happy. 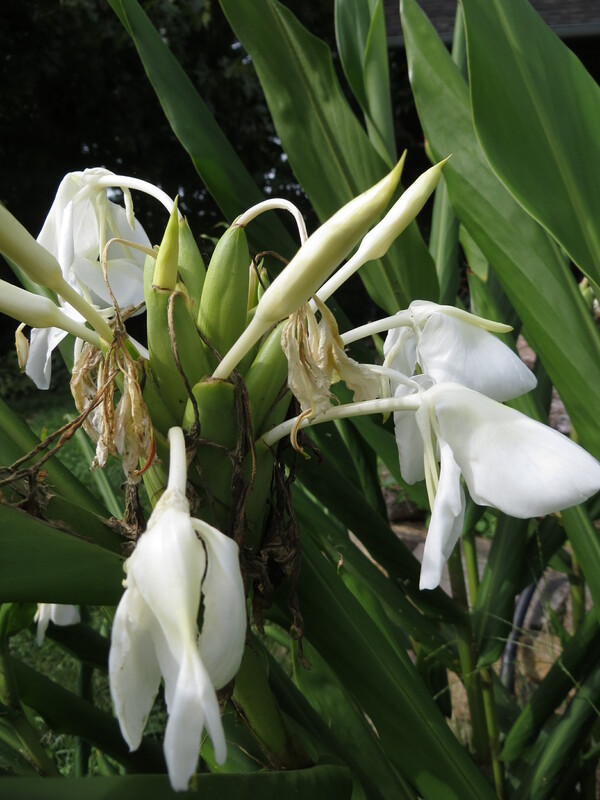 The scent is heavenly! Plants, thanks to Nita (an almost-aunt) who is one of my gardener inspirations. Much to be thankful for, especially at this time of year.